When using Chrome there can be an issue where opening Office documents into the desktop version of the Office apps just won't work. 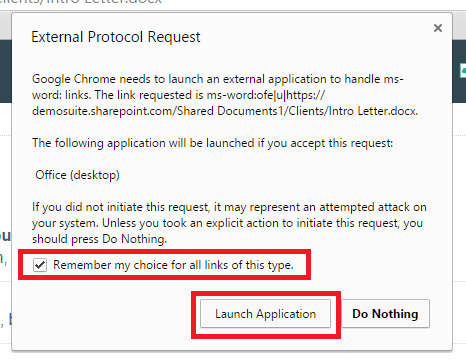 This is because of the Chrome External Protocol Request - a feature of Chrome that prevents the opening of applications from the browser just in case the application is something malicious. The following form will display. Open SuiteFiles and try opening the file again. Sometimes you will follow these instructions and the issue still occurs. If you open the Preferences file again you'll see the values have been changed back to true. If this happens ensure that all of your work is saved, reboot your computer and try making the change again immediately when your computer restarts. Also remember, you must have the Chrome browser closed when making the changes for them to take effect. 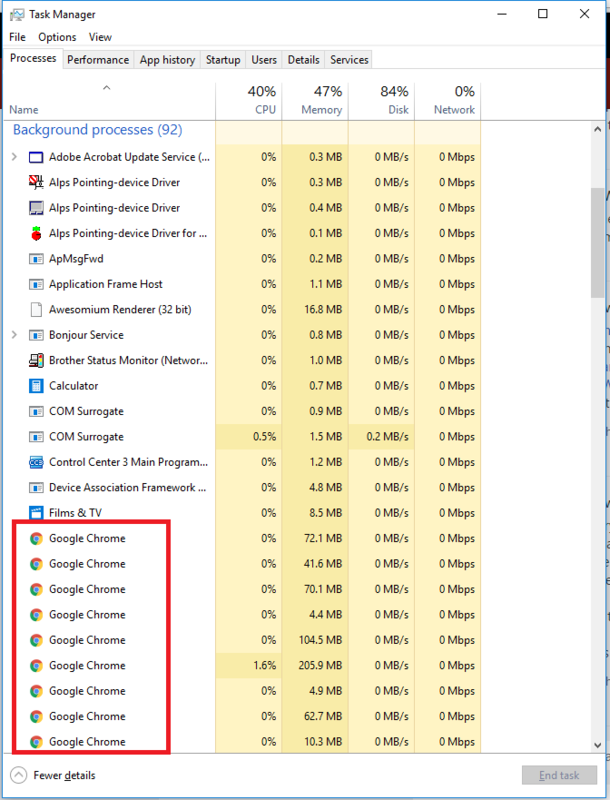 And if this doesn't work open the Task Manager and check the Background Processes and check for any Google Chrome processes. If you find some, close the Chrome browser and then end all of the processes. Open the Preferences file, change the settings and save then open Chrome to try again.